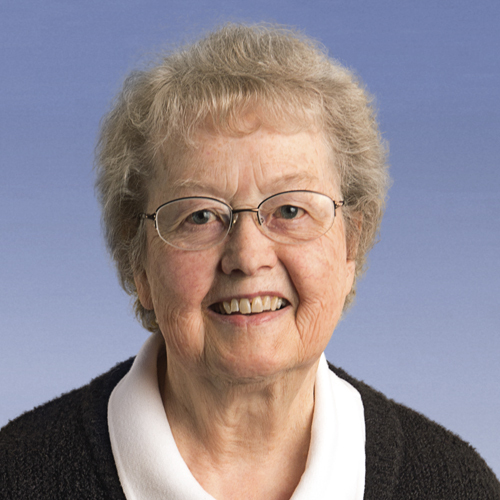 Benedictine charism is in Sister Christine Rausch’s blood. In fact, four of the five children in her family are Benedictines. Her brother was a monk at a monastery in Lacey, Washington—where her cousin was also the abbot. And she and two of her sisters are members of Queen of Angels Monastery in Mt. Angel, Oregon. “When I talked about entering the convent, my sister Dorothy wanted to go too,” Sister Christine explains. “We had aunts and uncles who had gone to school in Mt. Angel, so we wrote to the monastery, and they said, ‘Come!’ We went sight unseen.” She and her sister entered as postulants in 1949. By the time they made their solemn profession in 1955, their younger sister Regina was ready to take her temporary vows. The three sisters also have a cousin who is part of their community. Pictured: Sisters in life and faith. 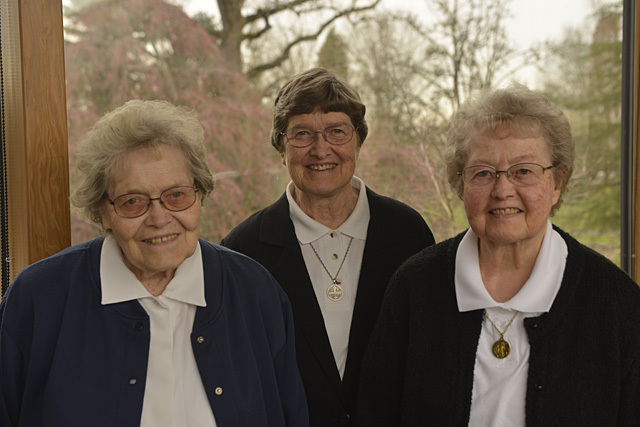 From left, Benedictine Sisters Dorothy, Regina, and Christine Rausch. *Released time are programs in public schools that set aside time during school hours for students to receive off-campus religion classes.